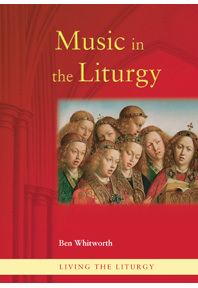 Ben Whitworth’s pamphlet for the CTS "Music in the Liturgy" is an authoritative and accessible introduction to the question of music in the Liturgy, a discussion that is at last beginning to filter down to at least some ordinary parishes. The pamphlet relates to the Novus Ordo Mass. 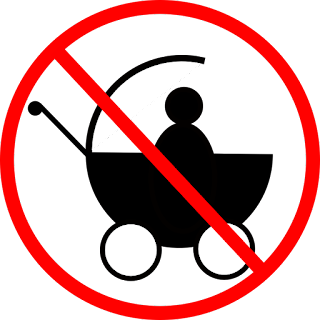 For the usus antiquior, the music question is more straightforward: if you have High Mass or a Missa Cantata, the choir sings the propers, and you have the choice of the congregation singing the Ordinary, either all together or antiphonally with the choir, or the choir singing a polyphonic setting. It is also possible to have low Mass with hymns. Gradually the realisation is dawning that this is not what Vatican II or any subsequent instruction on Liturgical music was telling us. For the Novus Ordo too, we should sing the actual texts of the Mass. I suspect that there are other parishes like my own, where what Fr Z calls the “gravitational pull” operates. 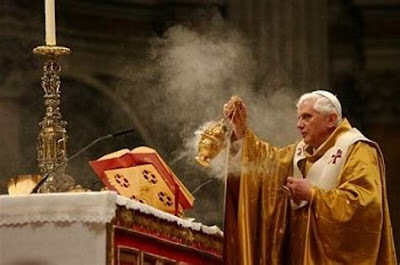 The celebration of the usus antiquior is instructive; it is easy to see how this is supposed to work in the Novus Ordo. So at the sung English Mass, we have a little group, including some young children, who lead the congregation in singing the simple chants for the Ordinary that are in the Missal, and they have learned to sing the Introit and Communion according to a simple psalm tone. Gradually, the Gradual, Alleluia and Offertory will be added. 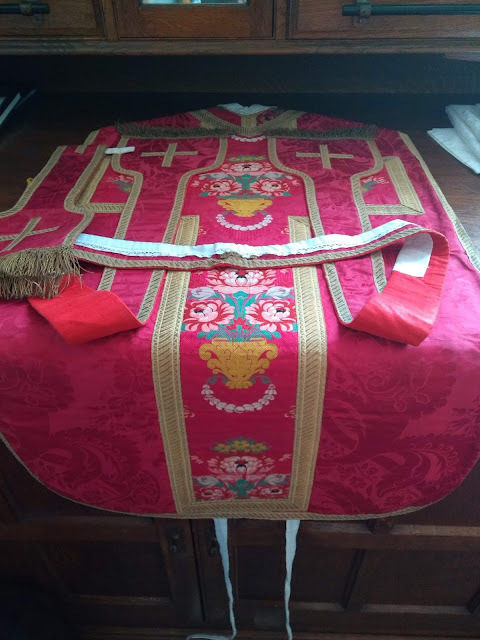 In due course we may be able to move on to some more ambitious settings of the propers and the ordinary but right now it is possible relatively easily to arrange that a special Mass for a parish group or occasion can be a sung English Mass and not just Mass with a few random hymns dotted around. At a congregational Sunday Mass, there is always an appropriate time during Holy Communion for one or two devotional hymns, and there is also time for a hymn during the Offertory. These do not need to be shoehorned into the “theme of the Mass” since they are extraneous, as with Motets sung at these places in the usus antiquior. Ben Whitworth’s pamphlet is a great resource for helping people to understand why Novus Ordo Masses should be sung Masses, not just Masses with songs. He has some fascinating references to classical authors and follows the development of liturgical music in the scriptures and the Fathers. He explains the different types of music in terms that could be understood by the ordinary pewsitter. There are some gems tucked away in this compact exposition which is informed by Ben Whitworth’s comprehensive knowledge of the field. I did not know that Mozart had said that he would have given all of his own compositions to have written the plainsong Preface of the Mass. That certainly made me pause for thought. For a Church musician who is open to the idea of the reform of liturgical music, this booklet would be a great help in setting out the basic reasons for such a reform as well as helping to devise a practical roadmap that could be implemented in an ordinary parish with its ordinary mix of generous people who are willing to sing but are not professionals or expert musicians. It would also be a good gift to school teachers who are involved in preparing Masses. "Music in the Liturgy. An introduction to the ancient musical traditions of the Catholic Church as a support for prayer" by Ben Whitworth, is available from the CTS priced £2.50 ($4.05).